The Japanese Ministry of Foreign Affairs is honoring the University of Washington Department of Asian Language and Literature for its outstanding contributions to the promotion of friendship between Japan and the U.S. The UW is deeply and intrinsically connected to the Pacific Rim and the world. Our Department of Asian Languages and Literature embodies this spirit of global connection and collaboration. Starting in 1910 with a course on classical Japanese literature, the UW Department of Asian Language and Literature has been instrumental in the development and expansion of Japanese studies in the Pacific Northwest and across the U.S. The department also has long-standing collaborations with world-class Japanese universities, creating opportunities for faculty, students and staff to engage across barriers of culture and language. Now offering courses exploring ancient to modern Japanese language and literature, the department is also deeply connected to our local community. 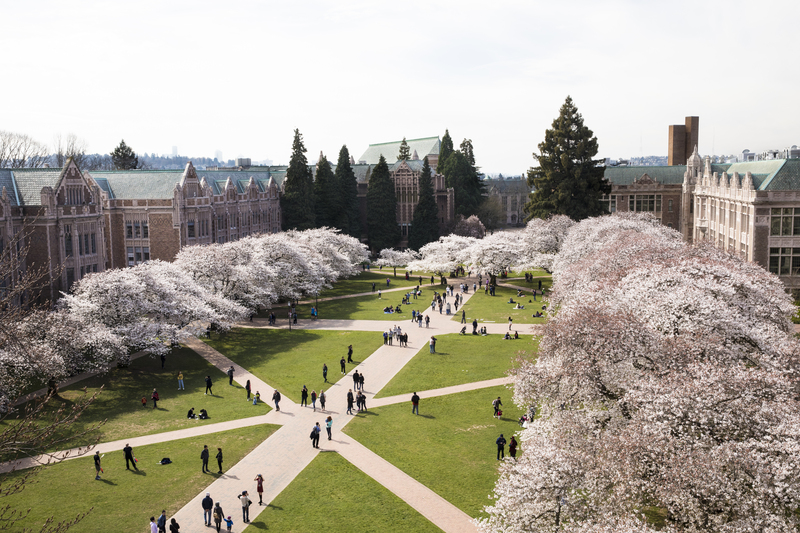 These connections promote friendship across the Pacific, and share beautiful traditions such as the celebration of the blossoming of the iconic UW cherry trees.